Answering services provide live or virtual receptionist phone service to businesses who want to make sure calls are answered around the clock or specific times or days. We examined several answering services and narrowed down our top six choices in terms of price, features and customer support to determine the best overall for small business. Answering service providers should be available to answer and route calls on nights, weekends and holidays when many businesses are closed as well as offer call overflow to handle high-volume call periods. Many companies also offer bilingual receptionists, sales order processing and local and toll-free phone numbers. Based on our research, we recommend RingCentral as the best overall answering for small businesses that want a full-featured auto attendant but don’t need a live receptionist to answer calls. Here’s how the six services we evaluated stack up when compared against each other for price, VoIP features and customer support. RingCentral is a voice-over-internet-protocol (VoIP) phone system with an available automated virtual receptionist who can greet and route calls to agents, departments or any mobile or landline phone. RingCentral’s bundled toll-free minutes and voicemail to text feature also makes it easy to scale or adapt to meet the changing needs of call centers. We believe it’s the best option for businesses that want VoIP phone systems with a full-featured auto attendant but don’t need a live receptionist. RingCentral’s prices for up to 10 users range from $29.99 to $39.99 per month. Unlimited user plans range from $34.99 to $59.99 per month. RingCentral’s lower-level tiers cost less than its competitors in the industry average. RingCentral’s first tier auto-receptionist package includes unlimited phone calls, 100 toll-free minutes and visual voicemail. The call routing system welcomes callers with a custom company greeting and routes them to the right destination whether a caller gives an employee name or department extension. This tier doesn’t have a large bucket of toll-free minutes or the multilevel auto attendant features found in the higher level packages. Starting at $19.99 per month, the Essentials tier is cheaper than VoiceNation, Ruby, Map Communications, Abby Connect or Davinci. This tier is right for small teams and businesses with heavy local calling needs. The Standard tier adds 1,000 toll-free minutes and multilevel auto attendant to the features found in the Essentials package. Multilevel auto attendant adds additional features to the auto-receptionist like call routing capability for multiple locations and usability on external phone numbers. The Standard package doesn’t offer as many toll-free minutes as the higher-level packages nor does it come with the automatic call recording found in the Premium and Ultimate packages. Although not the cheapest RingCentral tier, it’s still less expensive than VoiceNation, Ruby, Map Communications, Abby Connect or Davinci. This plan is best for small businesses with more than 10 employees that want a virtual answering service and auto attendant. RingCentral’s Premium tier adds 2,500 toll-free calling minutes, automatic call recording and voicemail transcription-to-text to its feature list. VoiceNation also offers this feature, but the service isn’t as fully featured as RingCentral. These tools are advantageous for businesses that like to keep digital records of calls for quality assurance, training and compliance purposes. The Premium package still falls short in toll-free minutes for companies that rely heavily on an 800 number to make a sale. This tier is about the same price as Map Communications and Voice Nation’s message-only tier; and less expensive than VoiceNation, Ruby, Abby Connect or Davinci. The Premium level is a good choice for medium to large companies that serve a primarily local area. RingCentral’s Ultimate package includes all the features of the lowers tiers and bumps the number of toll-free minutes to 10,000. This tier provides everything RingCentral’s lower auto-receptionist tiers do, plus more than enough minutes for medium-sized companies. The Ultimate tier is around the same price as Map Communications and Voice Nation’s message-only tier and less expensive than VoiceNation, Ruby, Abby Connect or Davinci. This level is a good choice for companies with a high volume of toll-free calls. RingCentral’s customer support is solid across each tier and among the strongest of its competitors, with an online knowledge base, support specialist ticketing system, phone and chat support. RingCentral doesn’t provide live receptionists to answer phone calls. Customers do have the option to create a professionally-recorded greeting, but there is no way to have calls answered by a human on the first ring. Business owners who want that option are better off with an answering service like Ruby, VoiceNation, or Davinci. Our readers are generally positive about RingCentral, with an average rating of four out of five stars. They say the service offers a wide range of helpful features that are useful for businesses of any size. However, some readers note the customer service team can be slow to respond. For more user reviews, visit the Ring Central Review Page. Businesses that want a VoIP phone system and built-in full-featured auto attendant, but don’t need a live receptionist should give RingCentral a try. The company offers a free trial of its product and 30-day money back guarantee when you purchase an account. Check out RingCentral’s website for details. Ruby Receptionists combines a local business phone number with a live receptionist call answering service package to answer phones, greet callers, take messages and route calls. We believe Ruby is the best option for solopreneurs who want to add a local business line with phone answering service to their cellphone or landline. Ruby Solo is $149 for one user, 30 receptionist minutes, one voicemail box. Ruby Impress is $299 for 10 users, 100 receptionist minutes and 10 voicemail boxes. Ruby Engage is $599 for 20 users, 200 receptionist minutes and 20 voicemail boxes. Ruby Captivate is $1,269 for unlimited users, 500 receptionist minutes and unlimited voicemail boxes. Ruby Solo includes one voicemail box, 30 receptionist minutes and daily receptionist coverage during set hours, which are features not offered by RingCentral at any price point. This tier also offers a company-specific greeting, bilingual receptionists, basic FAQs and a local phone number. However, Ruby Solo doesn’t offer appointment scheduling, call routing, custom forms or a toll-free phone number. This tier costs less than Abby Connect’s Standard plan and VoiceNation’s lowest tier once flat-rate minutes and the one-time-onboarding fee is factored into the overall cost. Ruby Solo is what makes this solution a great choice for solopreneurs who want to add a business line with live receptionist service to their personal cellphone. Ruby Impress includes 10 users, 10 voicemail boxes and 100 receptionist minutes at this level. Customers also gain access to custom forms, appointment scheduling, a toll-free number and call routing. RingCentral also offers call routing on all its tier levels for a lower overall price. Davinci includes call routing in both of its tiers, and its pricing is on par with Ruby Impress. This tier costs about the same as Abby Connect and Davinci Business 100. Ruby Impress is a great choice for small teams of 10 or less that want an answering service with basic features and multiple voicemail boxes. Ruby’s offers live customer support by phone at each tier level. Unlike RingCentral, Ruby does not have a ticketing support system or an online knowledge base. Ruby Engage includes 20 users, 20 voicemail boxes and 200 receptionist minutes at this level. This tier also includes all the features available to Solo and Impress customers like custom forms, call routing, bilingual receptionists and a local phone number. Unlike RingCentral, this tier doesn’t offer an auto attendant feature or phone system package. This tier on par with VoiceNation and RingCentral’s upper-level tiers. It’s a good choice for larger teams that need dozens of voicemail boxes. 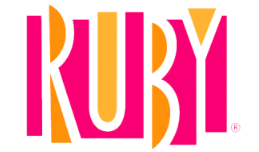 Customers needing the same features as the Engage plan but would like to remove the caps on users, voicemail boxes and utilize up to 500 receptionist minutes should check out Ruby’s more enterprise-level, the Captivate tier level, for $1,269 per month. Ruby Receptionists is missing voicemail transcription and the ability to text from your business number, although according to the company’s website both features are coming soon. Voicemail transcription offered by services like RingCentral is handy for checking messages when calling in by phone isn’t an option and business texting is great for personalized customer engagement. Our readers have overall positive things to say about Ruby, giving it a five out of five stars. They say the service receptionists are warm, courteous and professional. However, some customers report they can sometimes be too chatty, leading to an overall billing increase. You can read more on our Ruby Review Page. Solopreneurs who want who want a business number on their personal cellphone should check out Ruby. To hear how a live receptionist would answer your business call, it also offers an interactive online module as well as a 21-day money back guarantee with no long-term contracts to sign. Visit Ruby’s website for details. VoiceNation is a 24/7 answering service with a number of pay-as-you-go messaging options as well as a low-cost message-forwarding only plan not offered by other services. This plan includes live receptionists who take phone messages and deliver them by email, voicemail or short messaging service (SMS). We believe VoiceNation is right for businesses that want a message-only virtual answering service for less than the cost of a full-featured solution. VoiceNation answering service plans include a $79 pay-as-you-go plan for $1.50 per minute, 95 minutes for $129, 150 minutes for $199, 275 minutes for $329, 500 minutes for $549, 1,000 minutes for $949 and a message-only plan with 40 minutes for $49. The pay-as-you-go plans are a bit higher than industry standard. VoiceNation answering service features include 24/7/365 live simple order processing, call patching, local or toll-free number, schedule management, reporting, message delivery by email, voicemail and SMS. Map, Davinci, Abby Connect and Ruby Receptionist also offer live receptionists, but VoiceNation stands out for its message-only package. VoiceNation offers customer support via an online ticketing system, phone and chat, similar to RingCentral. While additional fees may apply, these are some of VoiceNation’s add-on services. Custom scripting allows businesses to gather precise information from each caller. It can cover basic data or drill down into content companies can use for lead generation and follow-up calls. VoiceNation offers custom scripting, but additional fees apply. Map Communications offers this feature at no additional cost. All calls can be answered by a VoiceNation live receptionist 24/7/365, including major holidays except on the message only plan. This feature is also available with Davinci and Map Connection’s plans but at a higher cost. Ruby Receptionist and Abby Connect’s live receptionist hours are limited, and RingCentral doesn’t offer the feature at all. Call overflow can accommodate a variety of business needs. Live receptionists can take over answering calls when office lines are forwarded during the lunch hour when phones go unanswered for a certain number of rings when a phone line is already in use or a number of other scenarios. VoiceNation offers call overflow as part of its tailored solutions; however, the feature is included in all Map Communications price plans. VoiceNation customers can choose the message-only package which comes with 40 minutes and an overage cost of $1.49 per minute. The package includes a local or toll-free number, schedule management, reporting, message delivery by email, voicemail and SMS. This is an affordable and professional way to let customers leave messages for businesses and business owners. VoiceNation is missing auto attendant features that allow customers to prerecord messages or automatically route calls to specific agents or departments. VoiceNation is also missing a fully featured business phone system. RingCentral is a better fit for businesses that require those tools. VoiceNation clients a mixture of both positive and negative reviews online. They report that the service is a good value for the money and right for small businesses. However, some VoiceNation clients say they have received complaints from customers that receptionists have been rude during calls. VoiceNation is a great choice for small business owners who want a message-only answering service at a low price. The company offers a free seven-day trial and accounts can usually be set up within one business day or less. Visit VoiceNation’s website for details. Map Communications answering service provides 24/7/365 live receptionists to answer phone calls, route calls and take messages. The company specializes in custom scripting and situations that need prompt attention and resolution. We believe Map Communications is a great choice for companies that want live receptionist service 24/7, including holidays and weekends needing an answering service to assist with troubleshooting. Map Communication’s Standard plan is $39 per month with no minutes, and each minute is $1.15. The Business plan is $149 per month, includes 125 minutes and additional minutes are $1.09. The Executive plan is $249 per month, includes 225 minutes, and additional minutes are $1.07. Map’s pricing is competitive with similar answering services on the market. Map Communications answering service plans include live 24/7 receptionist service, text and email message delivery, nationwide 800 number or local number and custom scripts. Ruby, Abby Connect and Davinci also offer the same features. However, Map Communications stands out for its call overflow service and custom scripting. Map’s customer support team is available by phone via an online contact form. Their more robust and unique features are as follows. Map Communications specializes in highly customized scripts that allow businesses to manage anything from basic order processing to complex technical troubleshooting. Scripts can also include making and canceling appointments, processing payments and screening callers for solo business owners like salons and Realtors. VoiceNation also offers custom scripting, but additional fees apply. All calls are answered by a live receptionist 24/7/365, including major holidays. This feature is included with all pricing plans at no charge. This feature is also available with Davinci and VoiceNation’s plans, but at a higher cost. Ruby Receptionist and Abby’s live receptionist hours are limited, and RingCentral doesn’t offer the feature at all. Map Communications includes call overflow in all its pricing plans. It can pick up calls after a certain number of rings, calls that come in while your office lines are busy, when office lines are forwarded or according to a customized plan. VoiceNation also offers the feature as part of its tailored solutions and Abby Connect offers call overflow, but its plan costs are higher. Map Communication doesn’t offer a message-only package nor do RingCentral, Ruby Receptionist, Abby Connect, or Davinci. Businesses that want an answering service with a with a message only plan should check out VoiceNation. Map Communications doesn’t dedicate teams of receptionists to accounts and personalized service to callers. For businesses that need that type of specialized service, Abby Connect is a better answering service choice. Map Communications is also missing a full-featured phone service like RingCentral. Based on online reviews, Map Communications receives generally positive feedback. Customers who recommend the company say the service is reliable and find the agents friendly. Clients with negative feedback report Map Communications hold music could be improved. Businesses that want a live receptionist answering service capable of troubleshooting customer issues and available 24/7, including holidays and weekends, should give Map Communications a try. The company offers a seven-day free trial with no contract or deposit required. Visit Map Communications’ website for details. Abby Connect is an answering service that uses dedicated teams of live receptionists to provide personalized live greetings and service to callers. Receptionists are available full-time, part-time or for overflow calls. We believe Abby Connect is the best choice for businesses that want to offer inbound callers personalized customer service and support. Abby Connect’s basic plan is $279 per month and includes 100 minutes. The mid-range plan is $499 per month and includes 200 minutes. The top-level plan is $1,089 per month and includes 500 minutes. Abby’s plans cost less than other services in the space and include more features. Abby Connect offers guaranteed live call answering, a dedicated account manager and receptionist team, bilingual receptionists, voicemail to email, unlimited voicemail boxes and minutes, unlimited users, custom transfer music and extended call answering upon request. Other answering services offer many of these same features, but Abby Connect stands out for its personalized inbound call service. Abby Connect assigns a team of five receptionists to each account, to answer calls live Monday to Friday from 8 a.m. to 5 p.m. local United States time. Answering hours can be extended for free to 9 p.m. Pacific time on weekdays and from 6 a.m. to 6 p.m. Pacific time on weekends with 24-hour service costing extra. Davinci, VoiceNation, Ruby Receptionists, and Abby Connect also offer live call answering but do not assign personal receptionists to accounts. Abby Connect offers call overflow to customers at all price levels as does Map Communication. VoiceNation offers the feature as part of its tailored solutions while Davinci doesn’t advertise call overflow on either of its tier levels. Abby Connect doesn’t offer a message-only package; nor do RingCentral, Ruby Receptionist, Map Communications or Davinci. Businesses that want an answering service with a with a low-cost message-only plan should check out VoiceNation. Abby Connect answering service doesn’t offer appointment scheduling, basic forms, FAQs or custom forms also aren’t available. Businesses that need these features would be served better by other answer services like VoiceNation or Ruby Receptionist. Abby Connect customer reviews online have generally positive things to say about the company. They report that the answering service has very friendly call operators and great customer service. However, some Abby Connect customers report their calls don’t get answered or that there is a lot of background noise during some calls. Businesses that want dedicated receptionists for personalized inbound customer service and support should give Abby Connect a try. The company offers a 14-day free trial with no credit card required. Visit Abby Connect’s website for details. Davinci is an answering service that offers live call answering, call forwarding, call screening and call routing. It also features outbound calling for help with things like sales and lead generation and unlimited long-distance calling. We believe Davinci is a good choice for business owners who want assistance with outbound sales and marketing calls as well as help answering incoming calls. Davinci’s Business plan is $99 per month for 50 live answering minutes or $239 for 100 minutes. The Premium plan is $249 per month for 50 minutes or $319 for 100 minutes. All four price points are higher than Davinci’s competitors but offer more features for the money, like unlimited long distance and outbound calling. This tier includes a free local or toll-free number, live call answering, call forwarding, screening, voicemail, call routing, unlimited long distance calling, an auto-receptionist and online faxing. This tier doesn’t offer appointment scheduling outbound calling, order processing, bilingual receptionists, administrative tasks, special FAQs or complex call flows found in the Premium plan. The price points of this tier are a bit higher than other solution on the market but provide more features for the money like advanced call routing, auto-receptionist and unlimited long-distance calling. This tier is a good choice for businesses with customers across the U.S. and Canada. Davinci offers customer support across both tiers by phone, live chat and email. Unlike RingCentral, it does not offer an online knowledge base or ticketing system. This tier adds appointment scheduling, outbound calling, order processing, bilingual receptionists, administrative tasks, special FAQs and complex call flows to everything the business plan has to offer. The extra features turn this tier into a virtual administrative assistant for small businesses. The price points of this tier are also higher than other answering service products in this space, but complex call flows, appointment scheduling, order processing and outbound calling add value to the larger price tag. This tier is a great choice for companies that want help with outbound sales, marketing or lead generation calls. Davinci doesn’t offer call overflow to pick up calls when office lines are busy or when workers are away from their desks. For companies that want to make sure their phone lines are never left unattended, Map Communications or Abby are a better fit. Online reviews of Davinci are generally favorable. Customers say the company is efficient, responsive and that customer service is excellent. However, some customers report delays in setting up a phone system due to complex compliance requirements. Business owners who want assistance with outbound sales, marketing or lead generation calls should take a look at Davinci. Look for a link at the bottom of the company’s home page to learn about current specials and offers. Visit Davinci’s website for details. Answering service providers answer and route phone calls, take messages from callers, answer questions about your company and schedule appointments. These services help businesses make sure a customer call never goes unanswered, including days, nights, weekends and holidays. Businesses that want a VoIP phone system with full-featured auto attendant built in and don’t need a live receptionist should look at RingCentral. In addition to a reliable phone service, RingCentral’s answering service greets and routes calls to agents, departments, voicemail inboxes or any mobile or landline phone. Take advantage of its free trial and 30-day money-back guarantee by signing up today. My company is considering these vendors for an answering service for our emergency hotline number… to triage the call based on predetermined scenarios scripts and then contact our company emergency responders with prompt, accurate (potentially life saving) information. Which of these vendors is up to the task? Of the services we reviewed, MAP Communications most closely aligns with what you’re looking for. With MAP, you can provide scripts to answer more complicated FAQs. You might also want to look into medical answering services, which are HIPAA compliant, and more trained for emergency situations. My business has been running for 2 years now. I feel like all my customer retention problems will be over. Sure thing, happy we could help! Which service did you wind up using? I would also recommending googling ATSI which is an association that the most reputable telephone answering services belong to. Thanks for dropping in. ATSI has a member directory that is useful for finding local teleservice businesses. Thank you very much for comparing the top answering service in the market today. Might want to consider Cloud Phone Answering (http://phoneanswering.net) as well if you’re looking for an alternative answering service in the USA. Thanks for dropping in. We’re happy to check out Cloud Phone Answering during our next revision. It’s good to see that pricing & features are very transparent. Many thanks for letting us know about this. It is really very informative and useful for us. Sure thing, thanks for reading!